He Fought Cancer; Lost His Eyesight at 24; Experienced Divorce and Financial Ruin — but Rose Above it All and Wants You to Know that You Can Do the Same! Does your life seem like an obstacle course? Every time you try to leap one hurdle, there is a dozen more standing in your path? Jeff Grillo understands just how difficult life can be. 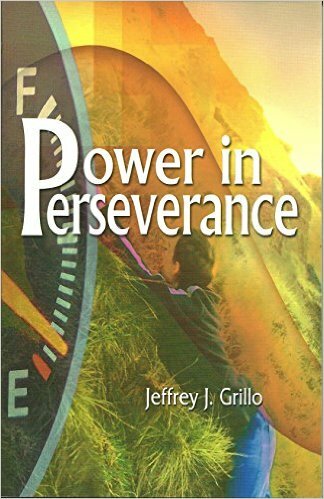 In his mid-twenties, Grillo lost his eyesight and faced several other monumental struggles that only seemed to compound the misery he was facing on a daily basis. In addition to the loss of his sight, Grillo also went through a divorce, two forms of malignant cancer at the same time, heart problems, chronic pain and faced financial ruin due to the fact he had no health insurance when going through cancer treatment. 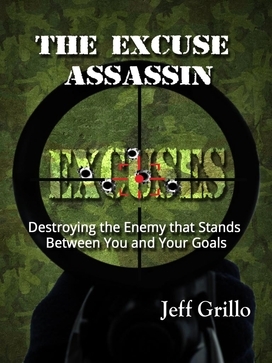 A motivational speaker, broadcaster, and Life Coach, Grillo is also the author of The Excuse Assassin: Destroying the Enemy that Stands Between You and Your Goals (Jeff Grillo Media / 2015) and Power in Perseverance (Jeff Grillo Media / 2006). 1. Define your objective! In other words, know what you want, and don’t be afraid to think BIG. 2. Know Thyself! In order to have a realistic chance of achieving success you MUST be realistic with knowing from where you are starting out. This includes being honest about your limitations, challenges, and obstacles. 3. Quiet the voices! All negativity must go! Whether unkind words that were spoken about you in the past, or the limiting self-talk that can plague us, we need to silence those voices and adopt only right and positive thinking. 4. Educate Yourself! Learn to know what you don’t know! Acquire the skills, certifications or degrees that will aid you in circumventing your obstacles and achieving your well defined goals. 5. And…ACTION! Relentless, unceasing action is the fifth key to massive success. Keep pushing towards your dreams each and every day. Get the tenacity of a bulldog and stay in motion! A freight train barreling down the tracks is very difficult to stop. After a career in radio broadcast, both in management and as an on-air DJ, Jeff was inspired to write, speak and coach after realizing how many huge challenges he had to face and overcome in his own life. Jeff is blind from a hereditary retinal disease called Retinitis Pigmentosa. He is also a cancer survivor. He fought and won a battle against two forms of malignant cancer when he was only 21. One form of cancer alone had a 90% kill rate. Jeff also experienced financial ruin due to the fact that at the time of his cancer treatment he had no health insurance. Divorce, heart problems and being overweight by about 50 pounds are just a few of the other challenges he faced and overcame. Jeff is a man on a mission. His mission is to show through his own life experiences that no matter how dark things may appear, there is always light on the other side of a crisis. He has an amazing attitude and personality that motivates and inspires people to take on any adversity, and win!